We take a close look at what's new for 2018 with Harley-Davidson's product portfolio manager. Looking across a vast display of motorcycles and platinum blonde women asking leather-clad show-goers if they want to enter a raffle to win a $500 gift card, I found Harley-Davidson product portfolio manager Jeff Strunk at H-D's booth at the IMS Chicago motorcycle show. We had a good, long talk about Harley-Davidson's product line, where the brand is headed, and if it's really following through on that hot gossip about an electric motorcycle in the next 18 months. Harley-Davidson is starting 2018 in a bit of a rough spot. H-D saw an 8.5 percent drop in U.S. sales in 2017 and a 6.7 percent sales decline worldwide. 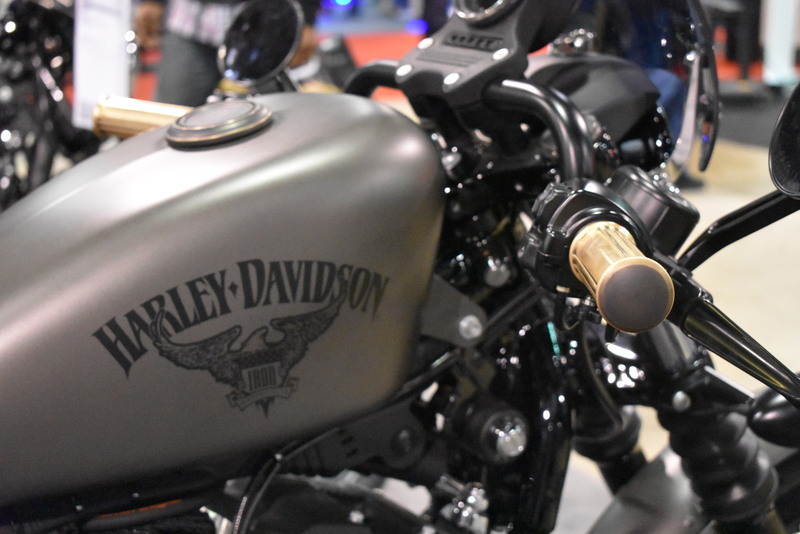 The brand had its lowest number of shipments in six years last year, and while Harley-Davidson expects sales to dip this year, the company has a long-term turnaround plan to attract new riders and much of that plan is rooted in the products it sells. Being a product guy, what Jeff Strunk really wanted to talk about was the bikes. That was fine with me because I really wanted to hear about them from a guy who knows everything about them. First, we talked about the Harley-Davidson Street lineup of small-medium sized liquid-cooled bikes that are, for some reason, often overlooked. “In the last 12 months we’ve come out with new bikes like the Street Rod,” said Strunk. The Street Rod is at the top of the Street lineup sharing a frame and fuel tank with the Street 750 with several performance and appearance upgrades. It has a cafe racer vibe thanks to repositioned ergonomics, a cafe-shaped seat with a rear cowl, and a small front fairing. Performance upgrades include a bigger airbox, a revised 60-degree Revolution X V-Twin engine producing 8 percent more torque and 18 percent more power, and a 9,000 rpm redline. Last August, Harley-Davidson pulled the wraps off a fully revamped Softail lineup. It consists of nine all-new models, each with its own purpose and personality. Strunk walked me through some of the featured models and gave me the rundown on what makes each one distinct. It’s worth noting that the Street Bob was once a beloved member of the Dyna family of Harley-Davidson. The all-new Softail lineup saw the merging of the Dyna and Softail lines which was met with some predictable criticism from purists who miss the “rubber soul” of the Dyna. The most characteristic and perhaps the most controversial of the new Softail bikes is the new Fat Bob. “The Fat Bob has probably gotten the most attention out of all of them,” said Strunk. This is one of the four new Softails available with either a Milwaukee Eight 107 or the bigger 114, the Heritage Classic, Breakout, and Fat Boy being the other three. Next, we looked at a Softail Slim which is in the sweet spot for a Softail that’s classically styled but delivers strong performance partially thanks to meaty tires. It’s also the most affordable Harley you can get with floorboards. “It’s very popular for its retro look,” said Strunk. “A combination of black and polished finishes, a low seat height makes it very accessible and confidence inspiring for new riders and riders of all sizes and shapes. We’re very cognizant of trying to make the bikes fit the widest range of riders. Where we hit a limit, the accessories department always comes in to help with the seat that might get you a bit closer or more stretched out more, changes to handlebars, changes to the suspension. We can accommodate just about anyone who wants to ride and make them comfortable.” The Slim is a blank slate when it comes to customization. Next, we walked over to a Softail Deluxe. If an alien came to Earth and asked me what a Harley-Davidson is, this is the bike I would show them. “This is the only new model in the Softail lineup to feature classic wide whitewall tires. It has chrome-laced wheels, a little bit of use of chrome for a more heritage, classic look,” said Strunk. “Exclusive to the Deluxe is all-LED lighting all the way around. We’ve got a very retro tombstone tail lamp, but it’s 100 percent LED as well an art deco style turn signal stalk which again, LED really enabled us to get the shape that we wanted. There’s a similar treatment up front with combination turn signal and passing lamp bar. This is definitely for the rider looking for a very classic Harley-Davidson look.” This model, maybe more than any other new Softail, is much more striking in person than it comes across in pictures. You can really see the attention to detail in things like the thoughtfully styled lighting that you might not notice otherwise. It’s definitely on the retro side of the retro-modern ethos. Moving on to the Sportster lineup, the name of the game is attitude and customizability. Granted, those two characteristics are sort of the theme of the whole Harley-Davidson brand, but it's really pushing the custom Sportster scene for 2018. And it’s doing a pretty good job by having this gorgeously customized 2018 XL883N Iron 883 on display. Among its many mods which you can get straight from H-D are a cafe solo seat, a satin black clubman handlebar, a compact sport wind deflector, a front spoiler, and a red brake caliper kit. Factory mods from Screamin' Eagle include a round high-flow air cleaner kit and jet black street cannon mufflers. Being Screamin' Eagle, they upgrade both the performance and the aesthetic of this Sportster. But the real story with this custom Sporty is the brass accents. Yes, real brass straight from the factory. The fuel cap, foot controls, front axle nut covers, engine trim, and hand grips are all brass. The brass on the grips have been worn down just from people grabbing them and they're nice and shiny and worn in the coolest way. “It’s only a handful of pieces, but it definitely helps the rider set their bike apart from anything else,” said Strunk. It's a great look and I'm anxious to see if this trend grows throughout the industry. Just for kicks, I asked if some variation of the Milwaukee Eight engine was in the Sportster’s future. “I can’t say at this point, but there’s definitely a lot of love for the Evo Sportster powertrain,” said Strunk. 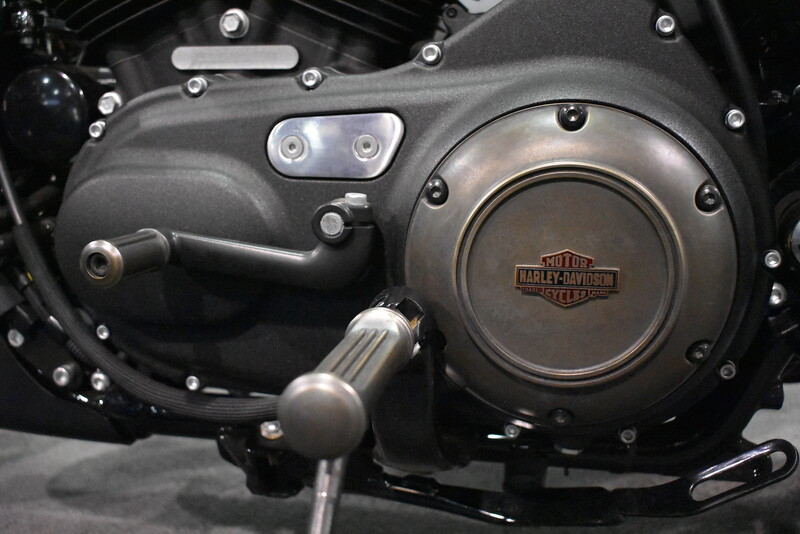 A recurring theme Strunk brought up while we discussed the 2018 Harley-Davidson lineup is blending classic, genuine Harley styling, and character with modern technology and engineering. This is a trend that's been going on in the industry for a few years now with some brands having more success than others with mixing the old with the new. Harley deserves credit for bringing that ethos to its lineup which, quite frankly, wasn't aging so well until recently. The Milwaukee brand fell behind on innovation and it's picking up the slack in a way that's very characteristic of the brand. Harley has gotten back up every time it's been down over the past 115 years. With declining sales, a pretty big recall, and a factory shut-down, Harley might be off to a rocky start in 2018, but resilience is a virtue the brand has always carried. No matter how hard Harley-Davidson falls, it should never be counted out of the game. If the brake fluid isn't changed every two years as directed, components may stick, including the ABS module. Gen Y doesn't care about "heritage." 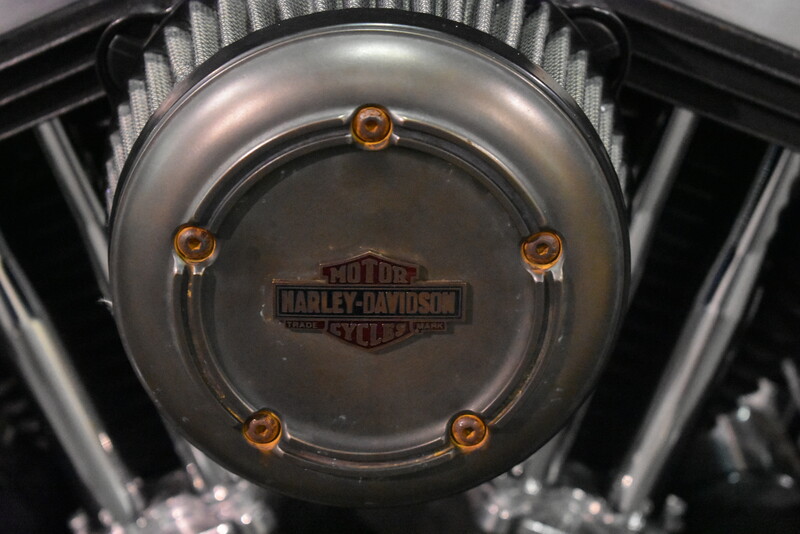 A new video makes a push to sell genuine Harley-Davidson parts and accessories. Sales in 2017 were down 6.7 percent worldwide, and 8.5 percent in the U.S.